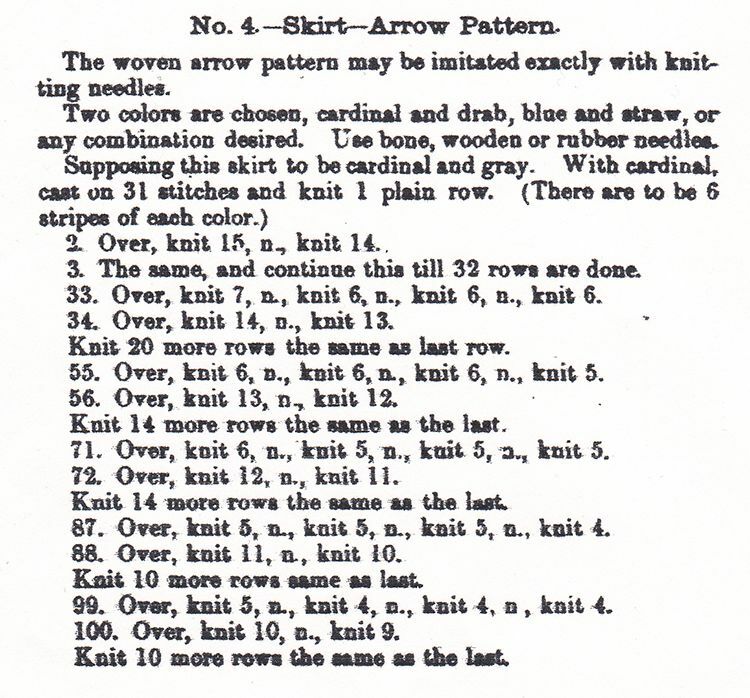 Worsted weight wool with a gauge of 20sts to 10cm/4″ will make a skirt with a 24″ waist following the number of panels knit in the original pattern. 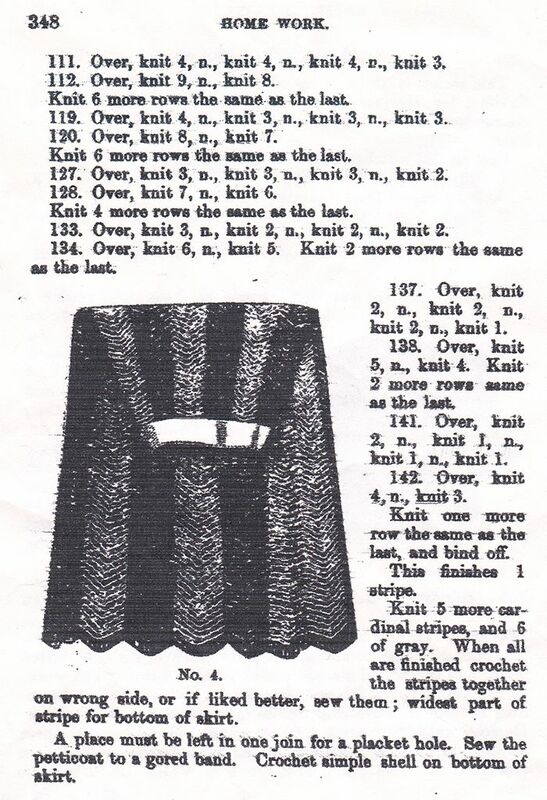 The amount of yarn needed will depend on the size skirt you wish to knit. An appropriate amount of light, soft woven fabric to line the waistband. Cotton should work well. This skirt can be adjusted to any size by knitting extra panels. 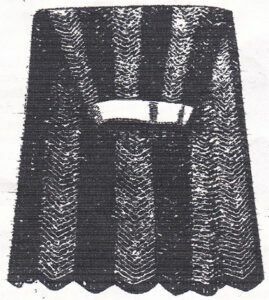 Knit following the pattern exactly, it will yield a skirt with a 24″ waist. You can also adjust the length and waist measurement of the pattern by beginning and ending the panels on different rows. Adjusmtents may be needed to shape the top of each panel. If joining the panels by sewing, use a stitch that will not create bulk in the seams. Join all panels all the way to the top except for the last one. The last panel should be left open from the widest part of the hips, to the top. It can be closed with loops and buttons, hooks and eyes or a zipper. If using hooks and eyes you will need to line either side with a soft ribbon or fabric for stability. Shape the top to fit your skirt using 4-6 darts, leaving enough room on all sides for turning under the hems. Turn hems under all sides and stitch inside the waistband of your skirt using an invisible stitch. Instructions for working shell stitch can be found on the Knitting-and.com website. Note: The shell stitch instructions use UK crochet notation.